One couple is on a mission to transform every public bench into a mini community hub. 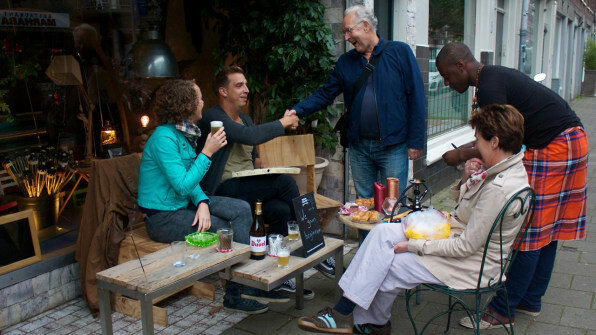 Cathelijn de Reede and Jesse Jörg have a vision: To turn every public bench in the world into a mini community hub. Living in Amsterdam, Jörg and de Reede, who own a design firm and a city planning firm, noticed something that bothered them. Even people who have lived next door to each other for years barely know each other; friendly “good mornings” or “hellos” are rare. Amsterdam is not unique in this respect—a 2015 survey found that only 20% of Americans regularly spend time with their neighbors. But as designers and strategists, de Reede and Jörg decided to do something about it. In 2014, they put a bench in front of their house and, sitting on it, they started talking to the people who passed by. That one bench quickly grew into BenchesCollective, which de Reede calls “the world’s largest open-air café,” in 2014. 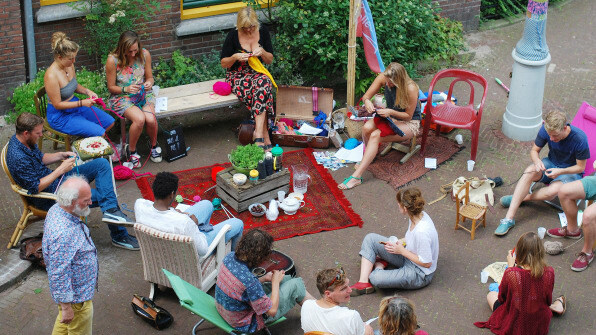 After three years of steady growth, BenchesCollective organized its first weekend edition on July 1 and 2 of this year to encourage all members to host an activity around a public bench; more such events are planned for later this summer. The idea behind BenchesCollective is to make productive use of the public benches that often sit in front of local businesses or homes. Residents or business owners can create a free account through the website, register their nearest bench using their address and email, decide its opening hours, and plan an activity that’ll draw visitors to it. Since 2014, over 1,300 benches have been registered through collective. The majority are in the Netherlands, where BenchesCollective launched, but Germany, Belgium, Ireland, Spain, Taiwan, Brazil, Australia, South Africa, and the U.S. are catching on; de Reede hopes the first-weekend push in July will bring in more members. As the number of BenchesCollective members grows, so will the variety of benches: Currently, there’s a “Ban Ki Moon” bench in Amsterdam, designed to facilitate cultural exchange; another one that acts as a meeting place for refugees and older inhabitants; another one where residents can gather to discuss how to keep their street clean and beautiful. For those people who have opened a bench, or just stopped by one they found listed on BenchesCollective’s interactive map (which updates in real time with the benches that are currently open), the initiative has had a positive effect. In a poll conducted with BenchesCollective users earlier this year, 52% of “BenchesHosts” have remained in contact with their neighbors since opening a bench; 42% of visitors say they’ve made new friends through visiting an open bench. And following Jane Jacobs’s theory that more “eyes on the street” are what keeps neighborhoods friendly and secure for residents, 31% say having an open bench in their neighborhood makes them feel safer. “Diversity in cities and neighborhoods offers opportunities for meeting people, which is so much needed lately. Put a bench in front of your house, offer neighbors something to drink or start a knitting competition and you’ll get in touch with people you’re not usually talking to,” de Reede says.